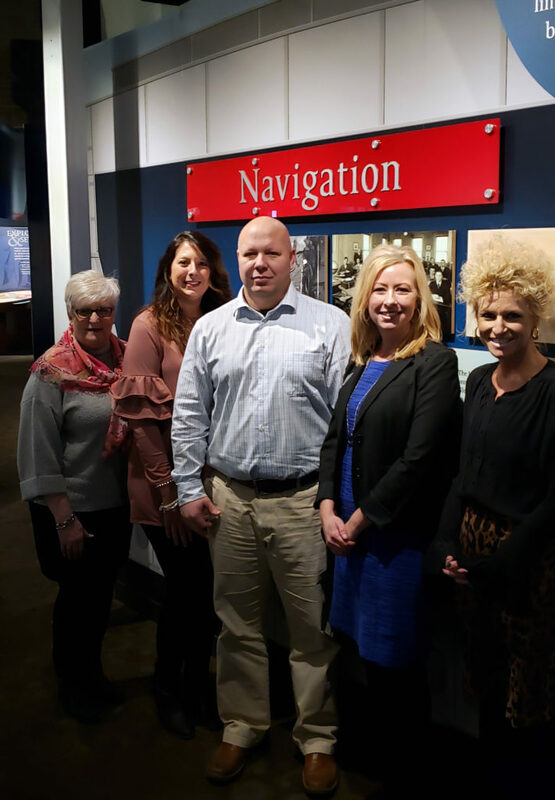 Pictured from L to R Kay Reiter, Sandusky County Commissioner; Andrea Gibson, SCEDC Communications Administrator; Wade Weaver, SCEDC Board President; Beth Hannam, SCEDC Executive Director and Chase Eikenbary, Regional Project Manager with RGP. Fremont- Sandusky County, Ohio – Sandusky County Economic Development Corporation (SCEDC) is a non-profit organization that focuses on workforce development, business retention and expansion, and business recruitment for Sandusky County. The SCEDC would like to announce that Sandusky County was ranked among the best nationally based on number of business development projects. The U.S. Census Bureau defines a micropolitan community as a “rural county whose largest city does not exceed a population of 50,000.” According to the Census Bureau, there are 576 micropolitan communities in the United States. Site Selection magazine’s standard for a qualified project is a project with a dollar investment greater than $1 million for building and equipment, square footage of at least 20,000 in new/expanding construction or the addition of 50 new jobs. Fremont-Sandusky County places in the top 20 percent of micropolitan communities nationwide. “The best-selling tool we have is showing our successes through business investment” stated Beth Hannam, Executive Director of the SCEDC. “At a news conference that was hosted in Toledo by our Regional Partner, RGP, on Monday for the Northwest Ohio recipients, it was noted in the opening comments that The Site Selection magazine really is the Bible of the economic development world. All of the top-tier national consultants read this magazine, so it is a really fantastic thing to have our community represented in the magazine in a positive way. It makes a great impression on a lot of people that are important to business attraction”. The SCEDC recently held their 2019 Annual Meeting of Investors on Thursday, February 28th with over 150 investors and community members in attendance. The SCEDC’s Executive Director Beth Hannam shared a 2018 Year in Review video. 2018 was a year of growth for the Sandusky County Economic Development Corporation. In March of 2018 the SCEDC launched the public phase of their Forward Thinking 2018-2022 Capital Campaign and began working towards the opportunities and tactics that were laid out in the five year plan. In 2018 Sandusky County had a total of 49 projects that resulted in 283 million dollars in capital investments creating 1600 new jobs and retaining 2600 jobs. The SCEDC’s forward thinking and team approach with working closely with local partners and economic development practitioners has helped pave the way for a successful 2018! The SCEDC would also like to announce their new officers and members of the Board of Directors. President – Wade Weaver, Martin Marietta Magnesia Specialties; 1st Vice President – Hans Rosebrock, First Energy; 2nd V-President – Kendall Rieman, Croghan Colonial Bank, Treasurer – Jeff Geary, First National Bank; Secretary – Bruce Schrader, Clyde Tool & Die, Inc. Re-Elected to a 3-Year Term as SCEDC Board of Directors: Paul Fiser , The City of Clyde; Steve Fought, Village of Gibsonburg; Jeff Geary, First National Bank; Hal Hawk, Crown Battery Mfg, Inc.; Mike Mullholland, The Freeman Company; Daniel O’Brien , Whirlpool – Clyde Division; Kendall Rieman, The Croghan Colonial Bank; Hans Rosebrock , First Energy; and Dave Sabo, The City of Bellevue. The Keynote speaker for the Annual Meeting was Dr. Jim Robey, Upjohn Institute. Jim provides research and technical assistance on economic issues and in economic workforce development to assist corporate, nonprofit, and economic and workforce development entities in problem resolution and strategic decision making. At the annual meeting, Jim Robey gave an entertaining keynote address on “Is there a recession on the horizon? A look at National, State and Regional conditions”. The entire article about the top micropolitans is available by visiting www.siteselection.com. For more information about locating or expanding in Sandusky County, please contact the office of Sandusky County Economic Development Corporation at 419.332.2882 or email director@sanduskycountyedc.org.